CONDITION REPORT: The dial is original and untouched with tritium markers having a stunning patina as well as the hands. The bezel is in good condition with some visible wear. The case appears to be slightly polished but still strong. The crown is original flat foot crown. Overall a stunning example in good condition. 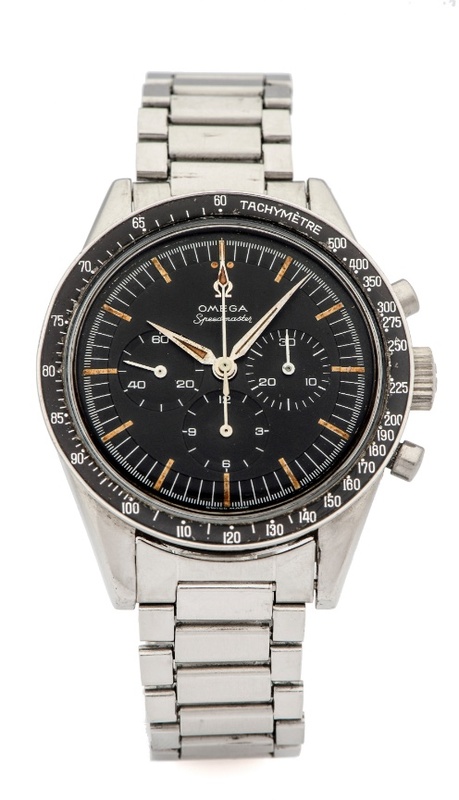 Notes: According to the Omega museum, which can not provide archives for early 321 Speedmasters, confirmed this movement corresponds production July 19, 1963 and subsequent delivery to Peru.